There is no better way to prove that dogs are man best friend than what this puppy displayed in this video. They are loyal, caring and truly exceptional. They are very protective, sometimes giving their lives to protect their loved one. This little puppy is trying so hard to stay awake, but its body says no. He was given a task of watching over this sleeping baby, he just can't manage to keep his eyes open even though it's against his duty ethics. This video is amazing in many different ways, we really admire how this puppy understands the concept of wholehearted love, care, and protection. 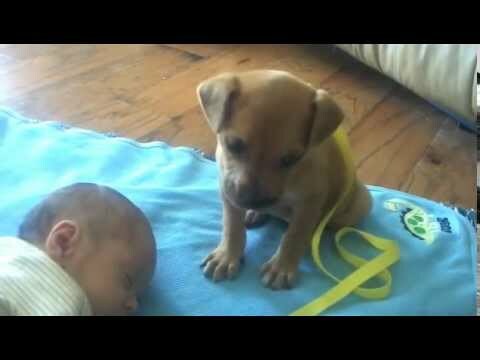 DoglopedixThere is no better way to prove that dogs are man best friend than what this puppy displayed in this video. They are loyal, caring and truly exceptional. They are very protective, sometimes giving their lives to protect their loved one.